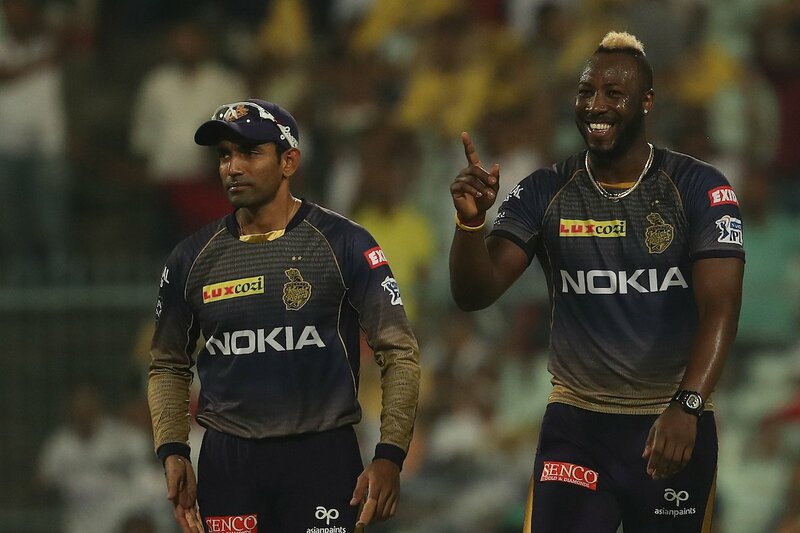 IPL 2019: In spite of Rana and Uthappa's half-century, the match hero is Andre Russell of KKR. Russell played a magnificent innings of 48 runs with the help of three fours and five sixes before the first 17 balls and then the wicket of Chris Gayle and Sarfraz Ahmed, the most dangerous player of the Kings XI. Kolkata, where it was the second consecutive win, the first defeat of the Kings XI Punjab. 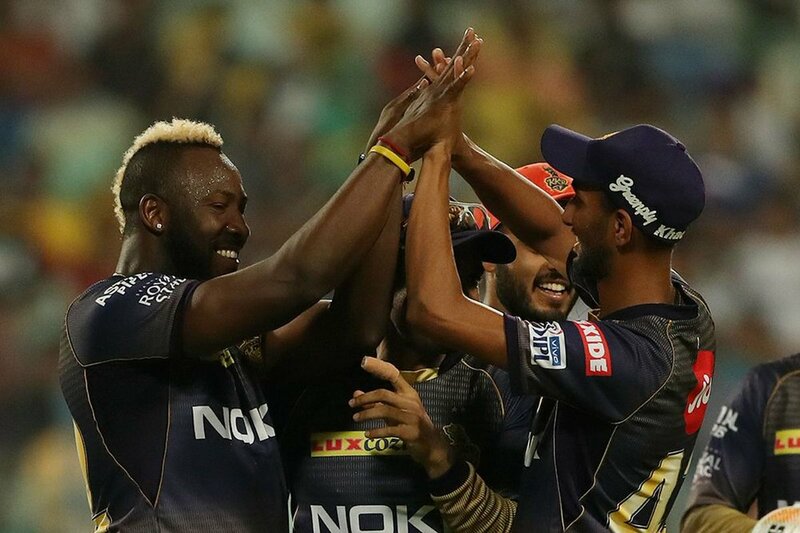 IPL 2019: Kolkata Knight Riders, thanks to half-centuries from both the duo of Andre Russell (48 balls and two wickets in 17 balls) and the half-century of Nitish Rana (63) and Robin Uthappa (unbeaten 67) Kings XI Punjab beat Kolkata Knight Riders by 28 runs. KKR performed like a champion on its homegrown Eden Gardens. In the match, he made a huge score of 218 runs, losing four wickets in 20 overs and then restricted the Kings XI Punjab to 190 runs in 4 overs in the set overs due to the tropical innings of Rana, Uthappa and Russell. For Kings XI, Mayank Agarwal (58 not out) and David Miller (59 not out) have not been able to win their team. Despite the half-century of Rana and Uthappa, Andre Russell of the match hero KKR. Russell played a magnificent innings of 48 runs with the help of three fours and five sixes before the first 17 balls and then the wicket of Chris Gayle and Sarfraz Ahmed, the most dangerous player of the Kings XI. Kolkata, where it was the second consecutive win, the first defeat of the Kings XI Punjab. In the match Kings XI captain Ravichandran Ashwin invited KKR to bat first before winning the toss. Andre Russell is the Man of the Match. In response to the huge score of Kolkata, Kings XI's innings started by Chris Gayle and KL Rahul. In the first over of the famous Krishna, Gayle scored 10 runs by hitting six and four but in the next over, the start of Punjab started getting worse due to Rahul (1) being dismissed. Rahul got Ferguson caught by Kuldeep Yadav Mayank Agarwal took the place of Rahul. Gayle hit Ferguson in the fourth over and then hit six in the next over but after the dismissal of this explosive batsman in the next over, there was a shock to Punjab's hopes. Gale made 20 runs (13 balls, two fours, two sixes) and Russell's ball was taken by the famous Krishna. The score of Kings XI Punjab was 43 after losing 5 wickets in five overs. Panjab's 50 runs in 5.5 overs were completed. After being dismissed cheaply in both openers, Punjab got a third blow in the eighth over. Andre Russell caught Sarfaraz Khan (13) with wicketkeeper Dinesh Karthik. The 'Killer' David Miller was on the crease now to give a chance to Mayank Agarwal but it was difficult for Punjab that the desired average was going on steadily. Kings XI Punjab were 77 for three after losing 10 wickets. The team needed 142 runs in 10 overs, the target was extremely difficult. After 10 overs, the Kings XI Miller tried to increase the score rapidly. Miller hit Kuldeep Yadav in the 11th over. In the 12th over, Miller hit six fours and four fours and Sunil Narine got two fours. In the 11th over, 19 runs were scored in 10th over and 12th over. The Kings XI's 100 runs were completed in 11.5 overs.After this, Mayank Agarwal's half century was completed in 28 balls with the help of six fours and a six. In the 15th over, Mayank Agarwal got the lifeline when Rinku Singh left the catch on Kuldeep's delivery. The Mayank and Miller duo were trying to speed up Punjab's scoreboard but the desired run rate was increasing. After 15 overs the score was 133 runs for 3 wickets and in the remaining five overs the team was to score 86 runs at an average of 17.22. In the 16th over, Mayank Agarwal (58 runs, 34 balls, 6 fours, and one six), Piyush Chawla done. On the last ball of this over, the umpire had also given Miller the catch out of the wicket but the review came in favor of the batsman. The match was almost completely away from the hold of Kings XI. David Miller's half-century came in 36 balls with the help of five fours and two sixes. 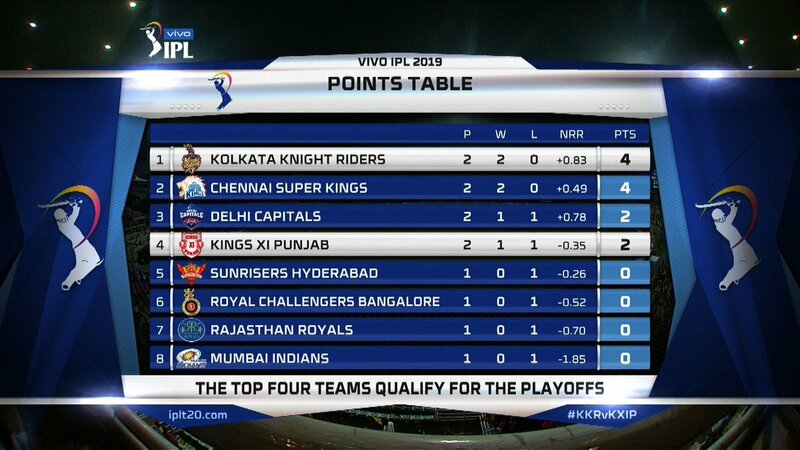 Punjab needed 42 runs in the last over and KKR's victory was fixed. In the 20th over, Kings XI's team got 190 runs in four wickets and they lost 28 runs. David Miller (59) and Mandeep Singh (33) remained unbeaten on 33. KKR's Andre Russell took two wickets while Ferguson and Piyush Chawla got one wicket each. While batting first, Kolkata's innings started with Sunil Narine with Chris Lynn. Shami scored only one run in the first over. Varun Chakraborty, who was considered a mystery ball in the second over, was brought on the attack but in his over, Sunil Narine hit three sixes and a four in the attack. Out In the third over, Shami brought Chris Lynn (10) to the delight of the Punjab camp. Lynn's catch was caught by David Miller. Shami could also get the wicket of Sunil Narine on the next ball, but missed the catch on his ball. Nonetheless, Naren could not take advantage of this lifespan and Hards brought to bowl in the fourth over of the innings became victims of Vizoan. Naren (24 runs, 9 balls, one four and three sixes) caught by wicketkeeper Rahul After five overs, the score was 44 runs for two wickets. In the sixth over, Ashwin took six wickets and Robin Uthappa reached the side by 50 runs. After Naren's dismissal, Varun Chakravarty was brought back to bowling but Uthappa did not spare him and made two fours. 34 runs were scored in two overs in the IPL. In the next over, Nitish Rana also gave the six to Ashwin, who saw Uthappa. The partnership of 50 runs between the two batsmen was completed soon. Kolkata Knight Riders scores 89 runs for two wickets after 10 overs. After the two openers were dismissed, Uthappa and Rana pair were pushing the score of KKR. In the 12th over, Nitish Rana hit two fours in the form of Ashwin to score the score of 100 runs. In the 12th over, Uthappa and Rana scored a lot against Mandeep Singh. In the over, Uthappa scored four and Rana scored two consecutive sixes. Nitish Rana's half century was completed in 28 balls with the help of one four and six sixes. They were pushing the innings by hitting sixes more than fours. Their partnership with Uthappa was proving trouble for Punjab. For Varun Chakraborty, Rana (63 runs, 34 balls, two fours, and seven sixes) got big success by catching Mayank Agarwal for Punjab. In the 15th over of the innings, Varun got his first wicket in the IPL. In the first two overs, Varun, who was extremely expensive, scored just one run in this over. After 15 overs the score was 147 runs for 3 wickets. Rana and Uthappa added 110 runs for the third wicket. Rana replaced Andre Russell for batting. Uthappa completed his 24th IPL half century with 41 fours and two sixes in the 17th over. In the 17th over, Shami bowled Russell, but it came out because three fielders were inside the circle. In the 18th over Andre Russell made Andrew Ti's furiously took the news. 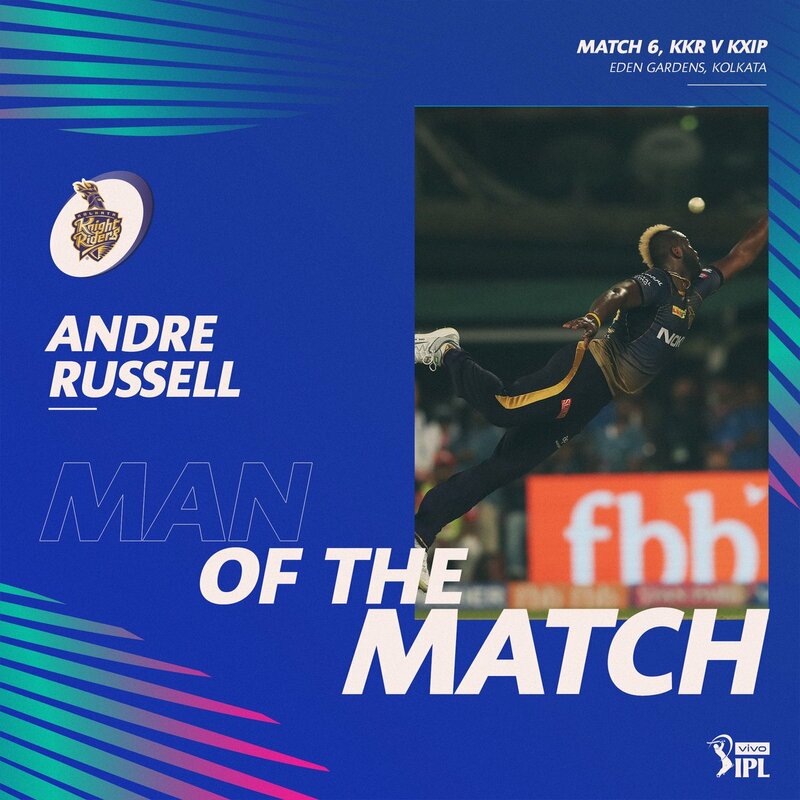 Andendre Russell (48 runs, 15 balls, 3 fours, and five sixes) was caught by Andrew Symonds at the hands of Mayank Agarwal in the last over with two sixes and so many fours. Robin Uthappa scored an unbeaten run of 67 runs (50 balls, 6 fours, 2 sixes) and captain Dinesh Karthik scored an unbeaten 1, to put the KKR to a score of 218 in 20 overs.